parenthood, relationships to blogging campaigns. She is an inspiration to many newbie bloggers. 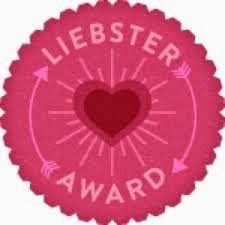 Thanks a ton Shilpa for considering me for the Leibster award. Now the rules for Leibster award. Thank the person who nominated you and comment on their blog.Include a link to their blog. Give new questions or same for the bloggers you nominate to answer. How did you decide the name of your blog? 1. Who has been your motivation in the blogging world? My best friends have been my motivation in the blogging world. I like a lot to write. When I told my best friends that I have started a blog they advised me never to stop writing. I wish I was better at elocution in school. I have a severe stage fear and cannot talk infront of a crowd. This is the one thing I wish I was better at!!! 4. What's your fav pastime? My favorite pastime is reading. I can read anything and for any amount.of time. I also like to watch television. 5. On which social platform can we find you most active? 6.Define yourself as a person in one sentence. 7. What is your unfulfilled dream till date? 8. What is the most important thing you learnt from blogging? Most important thing I have learnt is blogging is an expression of yourself and content is STILL the king. 9. Which kind of attire you prefer in daily routine? 10. Did you ever have any unpleasant experience related to blogging? If yes, brief about it. Yes, after hosting my first giveaway when a participant commented that my blog is not a place for hardwork. Basically if you don't follow all the rules how you expect to win and on top of it blame the blogger!!! I particularly like how you blog on various topics. I would really like to give a suggestion to you Shilpa that if possible can you change the theme of your blog as well as commenting system? If possible and this is very personal suggestion from the point of view of a blog reader and not a blogger.